Devi Seafoods filed draft papers with SEBI to raise Rs.900 crore through IPO. The company is one of the leading seafood producer and exporter based in Andhra Pradesh. They are leading producer of processed shrimp and shrimp feed. 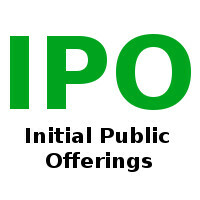 In the IPO of Devi Seafoods there will be a shares sale by company's promoters. Compay's promoters are P. Brahmanandam, P. Suryavathi, P. Rama Devi and N. Naveena. The equity share listing will increase stability, brand image and provide liquidity to existing share holders. Devi Seafoods ipo will be managed by Axis Capital, ICICI Securities and Kotak Mahindra Capital Company.